Owning and running a business is not only a great investment, but it is also a major responsibility. Take advantage of our shopping center insurance to protect yourself and your livelihood when things don’t go your way. Our team provides the most effective coverage in shopping center insurance so you can rest easy knowing you are covered against any risks that come with business ownership, including fire and water damage. As a commercial building owner you not only have a responsibility to keep your property safe for yourself, but also to your tenants. The people who have opened their businesses inside of your shopping center are looking for a safe and appealing place that will not only attract potential customers, but also keep the investments they have put into their business secure. You can do your part by speaking to our insurance agents about our comprehensive shopping center insurance policies. All of the potential concerns that can savage your commercial space can be covered with the right commercial insurance policy. Our agents are ready to talk to you about the different areas you need to have insurance coverage, including the parking lot and common areas, so you can rest easy knowing your property is covered. An insurance plan is critical for any commercial property owner. Talk to us about your options. While you are investing in your future, you are also responsible for the future of someone else's business too. Protect your business and your investment by investing in Shopping Center insurance or Strip Mall insurance. We can offer you a Shopping Center policy today that can benefit your needs, working with a team who is knowledgeable and will help you decide which policy works best for you. 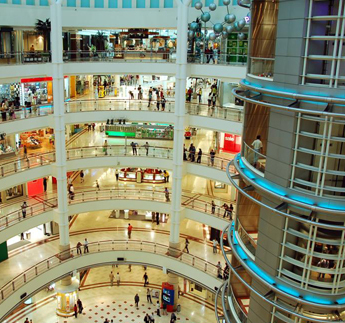 Contact us for more information about what our shopping center insurance covers. Our insurance team provides quality coverage to clients located in Jacksonville, Palm Coast, Tampa, Orlando, and Gainesville, Florida, as well as the surrounding areas.